February showed steady sales in Boca Raton, FL which makes sense, because we are in season. Although we are a year-round market in south Florida, winter months bring snowbirds and snowflakes into town for our beautiful weather. The number of listings increased in February, as did their prices. What also increased was the days on market. With more homes coming on the market daily, homeowners who want to sell will want to be a bit more flexible now. The market is becoming more balanced. Of course, this can and does vary by community, but with increasing mortgage rates and the increasing inventory, sellers should take notice. As the top pet-friendly real estate agent in Boca Raton FL, I am getting the word out to buyers who have been waiting and looking. I recently had a buyer in a 55+ pet-friendly gated community who made offers on 4 houses where the sellers stood their ground. The buyer walked from each of the 4 houses and, ultimately, made a deal with the 5th seller. Sellers need to realize this and price their homes accordingly. So, what happened in the Boca Raton real estate market this past month? Let’s check out the details and see if this market is the right one for you to buy or sell! We’ve had a lot of fresh inventory hit the market in the past month or so. Buyers have more choices now than they’ve had in years – again, varying by community. As of February 28, 2019, there were 1,352 condos for sale in Boca Raton FL. I know this sounds like a lot, but many people don’t realize how big Boca really is. It extends from the beach, downtown within the city of Boca Raton to cental Boca and then to west Boca Raton. The highest-priced listing currently available in February was $ 13,500,00 and the lowest was $ 1. No, that isn’t a mistake. You read it right. It says $ 1. It’s in a country club with mandatory equity fees, yearly dues, condo fees and, usually, assessments. So while you can buy the condo for $ 1, you must pay mandatory equity, along with yearly dues and monthly fees to go along with it. I can tell you, it’s pricey. Many people do not want to pay the additional fees associated with the country clubs these days, unless they are die-hard golfers. Square footage of the available condos in Boca ranged from 512 square feet to 7,767. While these two properties are at complete opposite ends of the spectrum, the average condo for sale in Boca Raton in February 2019 was listed at $ 488,430 and had 1595 square feet. Note: Included in condos are townhouses and villas. As of February 28, 2019, there were 1,396 single family homes for sale in Boca Raton. Again, I know that sounds like a lot but, hey guys, Boca Raton is big! It encompasses 8 zip codes from north to south and east to west! Really. The highest-priced listing currently available in February 2019 was $ 25,000,000 and the lowest priced was $ 74,900. Want to guess where it was? You got it. Right! In a mandatory equity country club! Many people get confused with equity country clubs and gated communities in Boca Raton. Square footage of the available homes in Boca Raton ranged from 919 to 27,832. That’s quite a range, but the average home for sale in Boca Raton in February 2019 was listed at $ 1,480,535 and had 3,659 square feet. Pending Sales include condos, villas and townhouses that are also contingent, backup status (both mean they are under contract but have contingencies waiting to be met) and pending (waiting to close.) In February 2019, there were 238 Pending Sales in Boca Raton. In February 2019, there were 191 Pending single family homes. Included in this are houses under contract, in backup status and pending waiting to close. In February 2019, there were 195 closed sales of condos, villas and townhouses in Boca Raton, FL. The average sale price for these homes was $ 395,019. They took an average of 99 days to sell. The days on market has started to increase. This is a reminder to sellers to price their properties correctly for the market we are currently in, which has changed from the market we were in just a few months ago. With increased inventory, buyers have more homes to see. Don’t overprice and let yours become an old, stale listing. The sales price to list price ratio last month was 94%. The most expensive condo in Boca Raton last month sold for $ 5,600,000. The lowest priced sale was $ 1. In February 2019, there were 148 closed sales of single family homes in Boca Raton, FL. The average sale price for these homes was $ 882,033. They took an average of 106 days to sell. The days on market is increasing. This is a reminder to sellers to price their properties correctly for the market we are currently in, which has changed from the market we were in just a few months ago. With increased inventory, buyers have more homes to see. Don’t overprice and let yours become an old listing. The sales price to list price ratio last month was 94%. The most expensive house house in Boca Raton last month sold for $ 8,250,000. The lowest priced sale was $ 106,000. What can Boca Raton FL Residents Expect Regarding Real Estate In The Coming Months? The market is stabilizing. We are seeing a shift to a buyer’s market in certain communities. Sellers need to be aware of this and price their properties for today’s market, not the market of a year ago or even six months ago. You can read more about it here. While this varies by community – some communities have more inventory, while others have very little, you need a great agent to explain these facts to get your home sold. Or, in the alternative, if you’re a buyer, you need a great buyer’s agent to do the research for you. A seasoned REALTOR® with a vast knowledge of the local market, Elyse has been in the Boca/Delray/Boynton area for 25 years. She is a retired court reporter and volunteers her time on the Grievance Committee for the Board of Realtors.  This Boca Raton real estate market report was provided by Elyse Berman, PA. Elyse is a licensed residential real estate agent in Boca Raton FL. 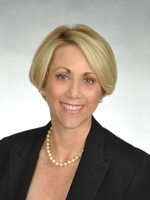 She works at Best Connections Realty, Inc.
You can find Elyse on numerous social media networks or via her BuySellHomesBocaRaton Real Estate Blog. She is an active online marketer who loves helping residential real estate consumers, and their furry friends, in Palm Beach and northern Broward County. Note: She loves helping people find homes they love WITHOUT pets too! No reproduction is permitted without the author’s express permission. All information deemed accurate. All information was taken from Beaches MLS.